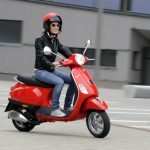 Piaggio Group Americas announced it will offer its 2015 Vespa GTS 300 range in the U.S. with the addition of the Piaggio Multimedia Platform, anti-lock brakes, Enhanced Sliding Suspension and traction control. 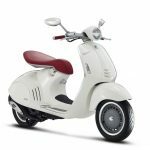 The largest member of the iconic Vespa scooter family will once again be offered in three variants: the GTS 300, GTS 300 Super and GTS 300 Supersport. 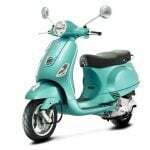 The three models are mechanically identical, sharing the same 278cc single-cylinder four-valve engine claiming 21.2 hp at 7500 rpm and 16.4 lb-ft. at 5000 rpm. 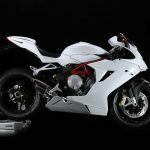 The GTS 300 comes with a chrome rear luggage rack; the Super and Supersport models receive black wheels, different front fender molding, a different “tie” on the shield, and red suspension springs. The Super also gets a black seat with white striping while the Supersport gets a black seat with orange striping and a ribbed surface. For 2015, the GTS range receives the ESS single-sided front suspension first introduced on the Primavera and Sprint models. Instead of being bolted directly to the trailing arm, ESS uses a hinged pin to allow some suspension slide. 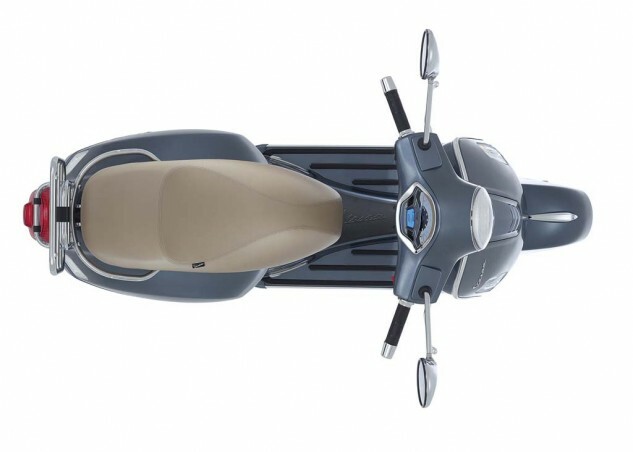 Piaggio says the design improves riding comfort and absorbs more bumps in the road. 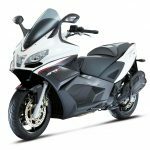 Anti-lock brakes are offered as standard equipment, as is Acceleration Slip Regulation, Piaggio’s form of traction control. 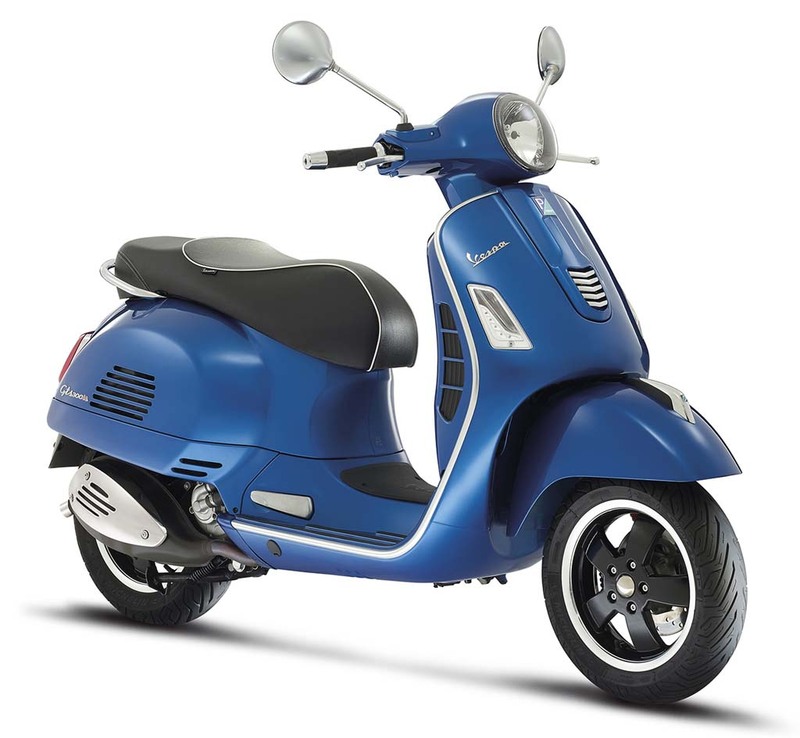 First introduced on Vespa models with the 946, ASR uses the ABS sensors to compare the rotation speed of the two wheels. If the rear wheel spins too fast compared to the front wheel, ASR intervenes to prevent sliding. The GTS lineup also comes with the PMP system, rebranded as the Vespa Multimedia Platform. VMP turns compatible smartphones into an onboard computer with GPS navigation and real-time display of vehicle and engine speeds, horsepower and torque delivery, fuel consumption and tire condition. VMP also offers a parking locator, remembering the scooter’s position when the engine was last switched off. Riders can also charge their smartphones using the USB port located in the leg shield plate compartment. 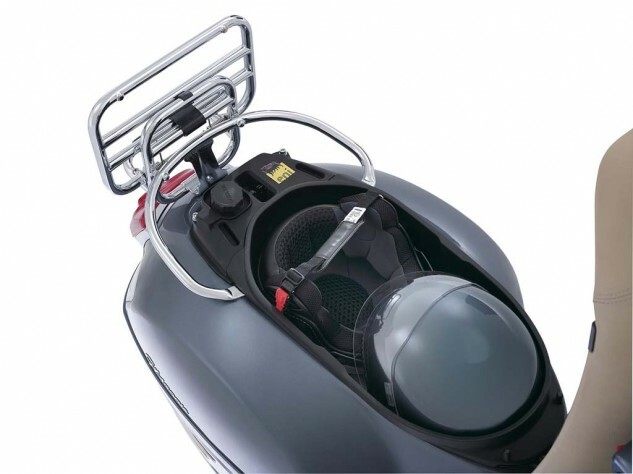 Other features include a 12-inch wheels with tubeless tires, 31.1-inch saddle height, a 2.5 gallon fuel tank and enough underseat storage for two open-faced helmets. The 2015 Vespa GTS 300 ABS will be offered in Nero Vulcano black and Grigio Dolomiti gray, both with a beige seat for $6,599. 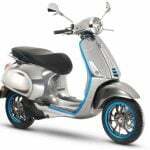 The Vespa GTS 300 Super is also priced at $6,599 but comes in Nero Lucido black, Montebianco white or Blue Gaiola blue with a black seat. 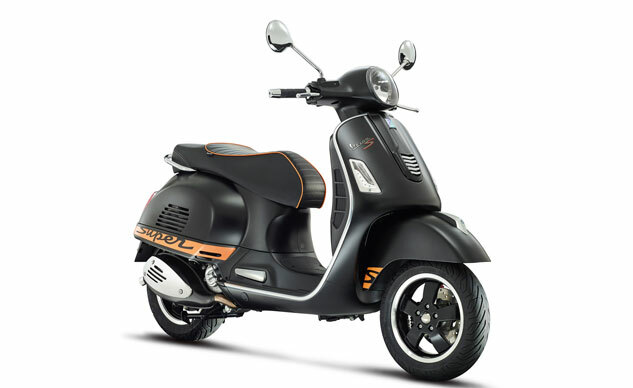 The Vespa GTS 300 Supersport is offered only in a Nero Abisso matte black with orange graphics and a black saddle with matching orange piping for $6,799. All three GTS models are available in dealerships immediately.